The Disabled Veterans’ Exemption reduces property tax liability for qualified veterans. These veterans must have been rated 100% disabled or are being compensated at the 100% rate due to unemployment due to a service-connected injury or disease. Along with the disability requirements a veteran must be honorably discharged from one of the military services and served during specific time periods. In order for property to qualify for the Disabled Veterans’ Exemption, it must be the principal place of residence of the veteran or the unmarried surviving spouse of a qualified disabled veteran. There are certain exceptions to this. One being that the veteran is confined to a hospital or other care facility and the property would be the veterans principal place of residence, if they were not in the hospital. Only that there is proof that the residence is not rented or leased. Property may be owned by the veteran, the veteran’s spouse, or jointly. An unmarried surviving spouse of a qualified veteran may also claim exemption. The Disabled Veterans’s Exemption gives veterans more of an advantage as opposed to other exemptions such as the Veteran’s Exemption or the Homeownner’s Exemption. Therefore, a qualifying veteran who is a homeowner should choose the Disabled Veterans’ Exemption. By choosing this exemption however, no other property tax exemptions are to be granted. 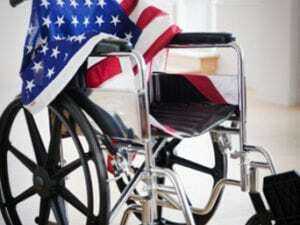 The only exception to this is if two or more qualified veterans own a property in which they reside, then each veteran is entitled to the Disabled Veterans’ Exemption for his or her personal use.